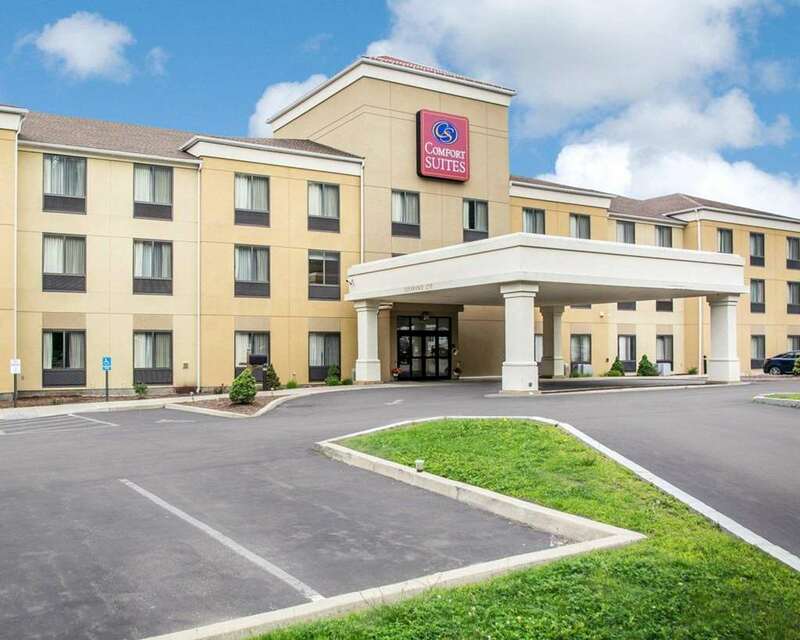 Get more of the space you need to spread out, relax or work at the Comfort Suites hotel in Vestal, NY. We are an easy commute to Binghamton UniversitySUNY and many other destinations. Business travelers will appreciate meeting space for up to 70 guests as well as a business center with copy and fax services. We also offer free WiFi, free hot breakfast, an exercise room, indoor heated pool and laundry facilities. Guest suites feature premium bedding, pillow-top mattresses, refrigerators, microwaves, coffee makers, flat-screen TVs, convenient AC and USB outlets, hair dryers, irons and ironing boards. Also, earn rewards including free nights and gift cards with our Choice Privileges Rewards program. No pets allowed.